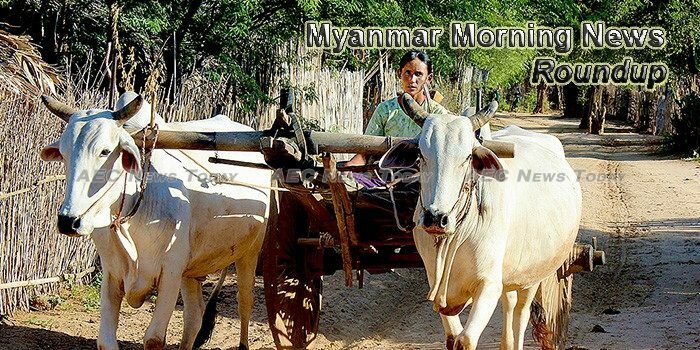 The World Bank said that at the end of May, Myanmar reforms and the country’s poverty reduction efforts and efforts to maintain macroeconomic stability will be given financial assistance. Singapore-listed Yoma Strategic Holdings announced today that it has teamed up with the Norwegian Investment Fund (Norfund), a state-owned investment fund, for a $2 million initial investment in micropower plants and mini grids in Myanmar. The government is expected to earn US$29 billion from foreign trade in the 2017-18 fiscal year, according to Permanent Secretary Toe Aung Myint from the Ministry of Commerce. Tokyo-based heavy industry company IHI Corp has opened a multi-million dollar pre-stressed concrete factory near Yangon in a joint venture with the Ministry of Construction, Kyodo newsagency reported. The International Finance Corporation, a privatesector arm of the World Bank Group, last week released a Burmeselanguage verฌsion of its Performance Standards on Environmental and Social Sustainability. Rice and corn production in Myanmar is expected to increase in the 2016-17 marketing year, while production of wheat is forecast to fall, according to an April 20 report from the Foreign Agricultural Service (FAS) of the U.S. Department of Agriculture (USDA). Yangon Bus Public Company (YBPC) will spend K70 billion, which is entrusted at the Ayeyarwady Bank, for acquiring new buses, according to the regional minister for finance and planning U Myint Thaung. About 440,000 WY-stimulant tablets worth Ks 880 million were seized at 3-mile inspection gate in Maungtaw Township, Rakhine State on the morning of 1st May. There is a shortfall in revenue collection in the real estate sector despite the fact that all sales in the Mandalay Region are subject to a 10 percent tax on the profit gained from the initial price. The Union Ministries have teamed up to manage all the water resources of Myanmar to fight flood and drought induced by climate change. Five prospectors who found a jade boulder weighing 8.7 tons have been charged with theft in Kachin State’s Lone Kin jade mining region. The European Union clashed on Tuesday with the visiting leader of Myanmar, Aung San Suu Kyi, by publicly supporting an international mission to look into alleged human rights abuses by the country’s security forces against Rohingya Muslims. Authorities in Myanmar are continuing to investigate the alleged embezzlement of regional development funds in the Magwe region and review a claim of 4 billion kyats (U.S. $2.9 million) supposedly used for regional development in the central part of the country.